The time-tested and acknowledged pathway to become a skilled improvisor is to play your instrument at every jam session or other opportunity that becomes available. That’s exactly how the early greats learned their craft, simply by playing jazz, not wasting time talking about modes, scales or unimportant activities that prevented them from actually playing their instruments. As seen in 25 prior DVDs, the core success of the Robert Conti approach is his ability to teach the jazz language (improv) at the street level, where it actually began. If you’re an entry level jazz guitarist such as a blues or rock player trying to make the crossover to jazz, Ticket To Improv will take you on one of most exciting and productive musical events of your life. Very soon, you will be impressing your friends with your new playing skills. As in each of his learning products, once again, Conti delivers another “Motherlode!” How? By teaching you exactly how to start playing an arsenal of lines over the chord progressions to three “must know” tunes that are played in every real life jam session. More importantly, after you learn the first three tunes, he will also teach you how to quickly begin reshaping those lines for usage in other tunes. I received the “Ticket To Improv” DVD a few days ago. 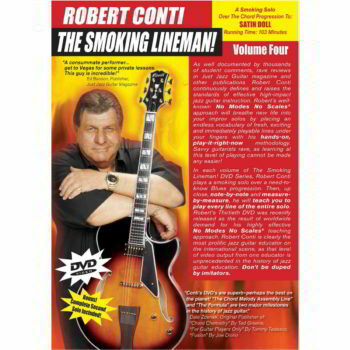 I have invested a lot of money thru the years on guitar lessons and nothing worked, until I got your DVD, and it is wonderful. I cant wait until I have the time to sit and learn from the master. Since I’m 72 years young, I’m sure you can teach an old dog new tricks. Thanks again. 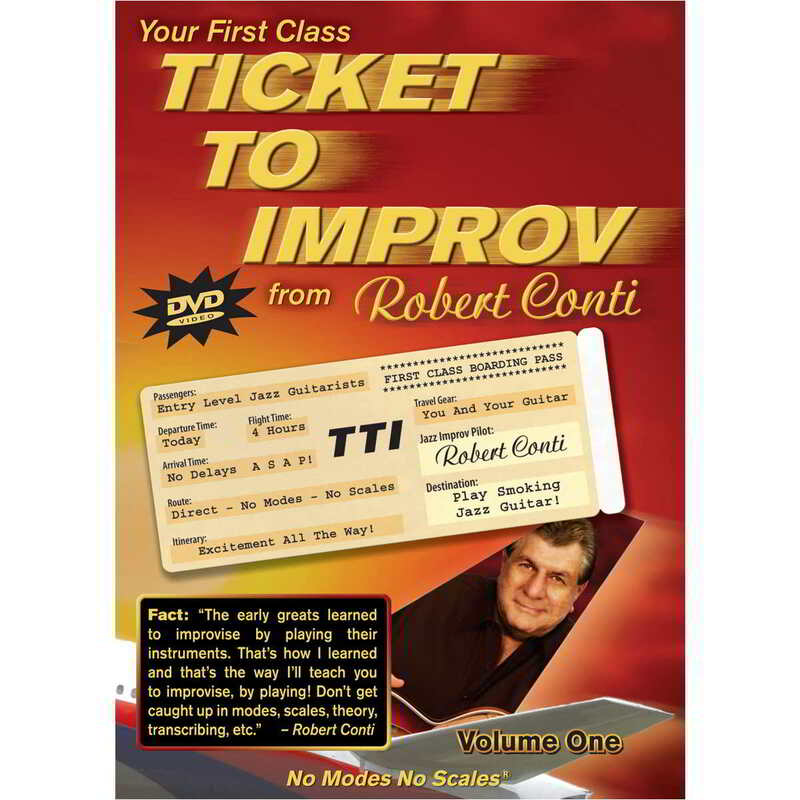 I am LOVING Ticket To Improv! I can’t thank Mr Conti ENOUGH! I am going through the entire system, I have already purchased Ticket 2 and CAN’T WAIT for Ticket 3! 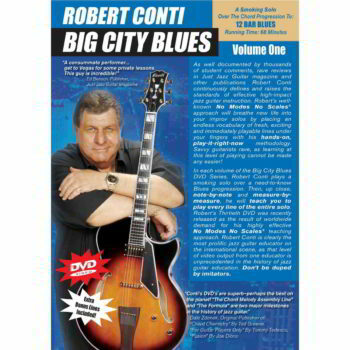 Mr Conti would you PLEASE do a jazz fusion series beginner to advanced I don’t care if you charge 50 bucks per DVD and there are 10 of em! I WILL get all 10! I’m using what you teach to play WORSHIP in CHURCH and people are FREAKIN’ OUT! Some of them are lookin’ at me kinda sideways lol! And I’m lovin it – Thanks again! I’m back on the Satin Doll solo again after a years layoff working on my songwriting – I had forgotten how smooth and beautiful it really is. I am splitting my daily practice between this and Chord Melodies and really developing as a jazz player now. I also spend a short time on the ‘Assembly Line’ DVD – it’s really all coming together now like I never would have believed. If I can do it then anybody can do it. Thanks Bob with a capital T!